Gary Heebner founded Cell Associates after working for 20 years in science’s private sector, first in research and development, then in marketing. A consulting firm specializing in market research in the life sciences, Cell Associates partnered with C&EN and ACS Publications earlier this year to survey scientists on how they learn about new products, and make purchases, with some interesting results. C&EN Media Group spoke to Gary about this survey and the role of market research in developing an effective marketing program. 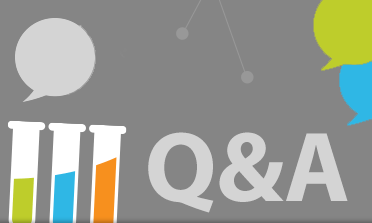 C&EN: What issues do scientific companies face that typically require market research? Heebner: The most successful marketers know that understanding customer needs and preferences for the products and services they offer is key in building and nurturing customer relationships. Suppliers need to know how customers perceive the company and its competitors, the company’s strengths and weaknesses, and where the market is heading. The types of survey studies that we work on most often are ones that measure brand awareness, customer satisfaction, and new product needs. Online surveys are a quick way to better understand issues such as these. They can also be conducted quickly, in only a matter of weeks, if a survey project needs to be fast tracked. C&EN: How do online surveys fit within the framework of digital advertising? Heebner: The two go hand in hand. One of the strengths of online and digital advertising is that analytics and metrics are readily available. Those analytics alone, though, only measure activity. You can track the number of individuals that clicked on a banner ad, but you often can’t determine if they made a purchase or what they were thinking when they saw the ad. Where online research really adds value is in producing deeper, richer information. So the analytics measure activity and the surveys measure opinions and perceptions. And ACS Publications has a very large database of end users that can be leveraged to survey researchers and provide unbiased feedback on important supplier issues. C&EN: Cell Associates recently surveyed C&EN readers about how they gather information about new products. How did scientists respond? Heebner: It was interesting. Sixty percent of the people who took this survey relied on publications and journals for their new product information (the most common response). But one of the goals of the study was to examine differences by work sector and location. For example, we found that researchers in academic institutions relied more on scientific journals while those working in industry tended to rely more on supplier websites for new product information. C&EN: What could these differences mean for marketing practices? Heebner: Marketing groups that have a good understanding of customer differences by work sector or location can create more effective marketing campaigns. With online and digital marketing, suppliers can target a campaign to a very specific group of prospects using the tools that best align with that particular group. C&EN: How do companies apply market research from surveys like this one? Heebner: We recently worked with a company that was considering making a substantial investment in their social media efforts. We recommended that they reduce their investment in this area and focus on several other channels to reach customers. This study, and others that we have recently conducted, suggest that relatively few researchers rely on social media for new product information; in fact, in this study only nine percent of the respondents relied on social media for new product information. A study like this can be a great way to validate how your marketing resources should be allocated. Thank you to Gary for sharing his expertise on market research in the life sciences. Looking for more ideas and tips? Visit C&EN Media Group’s Science Marketing Masters series, and get more advice from science marketing experts.